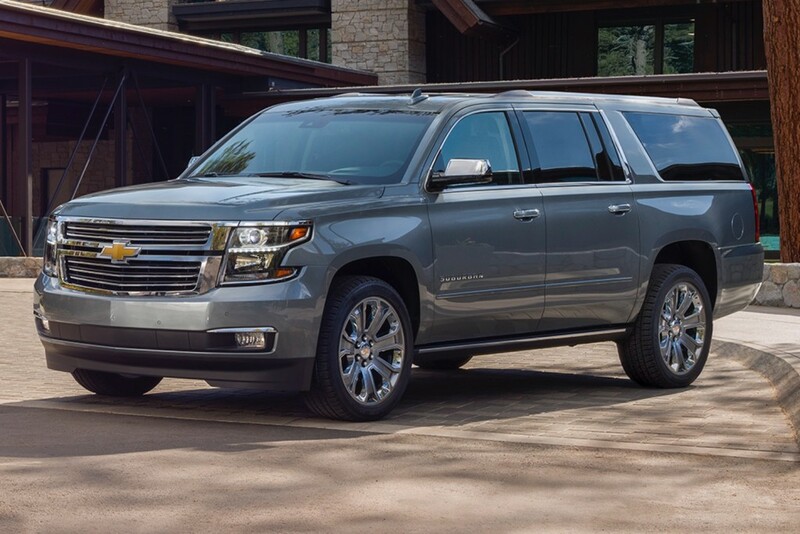 The 2018 Chevrolet Suburban faces stiff competition from the new Ford Expedition, and Chevy wants to sweeten the deal and perhaps pry some customers away from Ford dealers. The brand is currently offering $11,000 off of the large SUV’s MSRP, according to a Tuesday report from The Drive. However, there are two asterisks. First, the discount only applies to the 2018 Chevrolet Suburban Premier model, the range-topping trim for the SUV. Still, the $11,000 off takes the MSRP from $66,195 to $56,595, which is Suburban LT territory. And the Premier packs in far more comforts than the volume LT model. The second catch is how the $11,000 comes off of the MSRP. $7,271 comes from Chevy’s employee discount for everyone campaign, while the other $3,750 comes off when a customer finances the SUV through GM Financial. It’s more than likely most customers will finance their vehicle, but if he or she plans on paying cash, just know the discount drops by $3,750. Might we add, if you’re paying cash for a new Suburban, we’d like to send you our holiday wish lists. For those interested in a less expensive Suburban, the current incentive offers will take $3,750 off on an LT and $3,000 off on an LS model. Conveniently, the discount brings the Suburban Premier’s price directly in contention with the Ford Expedition’s entry-level trim. Thus, Chevy will offer a better-equipped full-size SUV for about the same price. However, we expect to see an all-new Suburban and Tahoe bow sometime next year. We’ve spotted prototypes for the 2020 Tahoe testing already, which also means we’ll soon see a new GMC Yukon and Cadillac Escalade. Each of the SUVs will ride on the new T1 platform like Chevy and GMC’s new full-size trucks, the 2019 Silverado and 2019 Sierra. Specifically, look for the Escalade to differentiate itself more than ever from the Chevy and GMC. And if you can’t wait for the new models, this isn’t a poor deal in the slightest. My dad has bought a lot of trucks with cash; Including his 2016 Tahoe LTZ. They are all company vehicles. While it may not look like it on paper, and dealers will tell you that paying cash increases the price; its false one you get down and dirty. Last year, we got a base F150 (2wd, roll-up windows, no bed liner) down from 27,145 (dealers lowest advertised price), to 21,300…tax tags and all. The sticker of the Tahoe went from 67k to 56k (it was the end of the year and there were additional discounts). I just paid by check for a 2019 Cruze, and they charged me $1900 more than if I had financed. Two years ago I was going to pay cash for a Murano (the wife’s car), but to close the deal I still got the $2500 discount that was being offered for financing. During the paper signing the finance manager doing the paper work talked me into financing for $2500 off in addition to what the floor manager offered. Not sure if he knew the full deal. I think I had to make 3 or 6 payments minimum plus got free oil changes. I ended up with what I wanted in the first place. $5k off plus the trade.